So as you probably have gathered from reading this blog I am a sucker for everything Low n Slow – Pork Belly, beef – anything that needs time and attention and I’m all over it. But I’ve been kicking around with the traditional for a while and decided to have a look a little further east this time….to be very specific I’m combining near East: Welsh Lamb shanks: and far east: Curry spices. Vote for me or people may perish! STEP1: Kick off by browning the shanks well in a medium frying pan, get a really good deep brown colour then set to one side. STEP2: In a food processor blitz up all the curry paste ingredients until you are ready to cook. STEP3: Get a large pot on the heat and fry the sliced red onion until well carmelised and sweet. At this stage add the curry paste and cook out for 1-2 minutes, this will cook the spices and give you an aromatic sauce full of depth. STEP4: Next add in the chopped tomatoes, stock and coconut milk before dropping in the browned shanks. STEP5: Bop a tight-fitting lid on the pot and sling in the oven at 150c for 2hrs or until the lamb is falling off the bone. Serve with a simply basmati rice or garlic flat breads……killer. I’m giving this a try!! 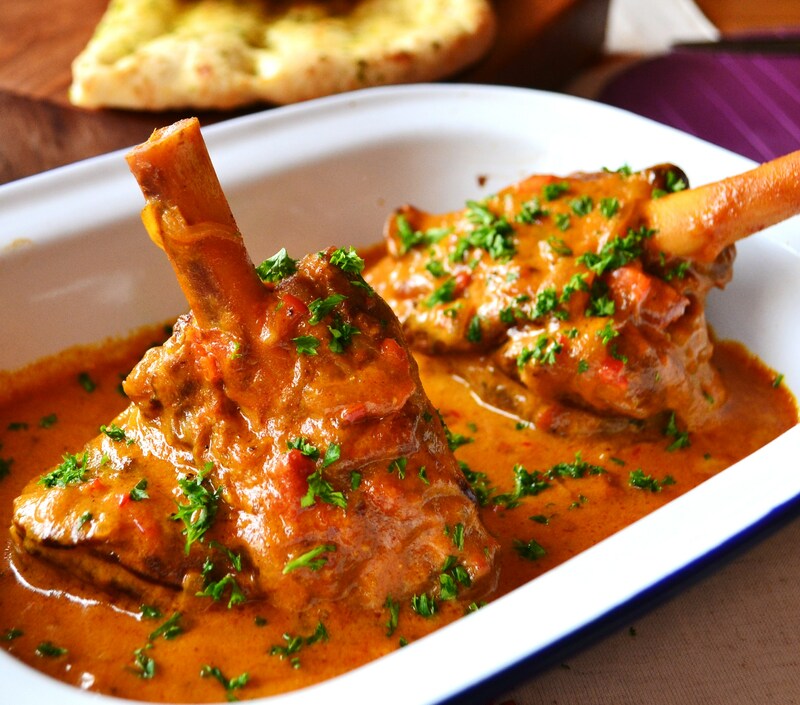 Although my favourite cut for a curry is lamb neck – on the bone. A great cut Fiona and one I usually reserve for my Mums Irish Stew – but it’ll work just as well in this case!